While this segment has proved very popular in other markets, it has failed to find enough adherents in North America and seems doomed to disappear, especially when it is confronted with the new vehicles in the growing Micro CUV vehicle segment. 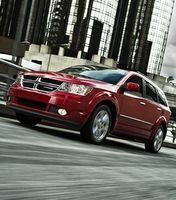 The only real success in this segment is the Dodge Journey, which sells in impressive numbers. With no new players on the horizon and no signs of replacements for the current people carriers, this segment will disappear over the next few years. A note about mileage: The APA's posted fuel economy figures for 2015 are from the U.S. Department of Energy as figures from the new Canada EnerGuide test were not available when this research was being compiled. 2016 was expected to be the last year for the current Journey buts its run has been extended until the 2019 model year. Two engines, a 2.4L four and a 3.6L-V6 are offered on front-wheel drive Journeys. Transmission choices are a four-speed automatic with the 2.4L and a six-speed automatic with the 3.6L V6. All-wheel drive is offered only with the V6-engined models. With nearly 26,000 sold in 2015, the Journey has been a smash hit for FCA in Canada. Very low MSRP with the Value Plus package. 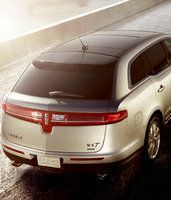 SE Plus and SXT trim upgrades are a bit expensive considering the equipment that is included when you step up a trim level. 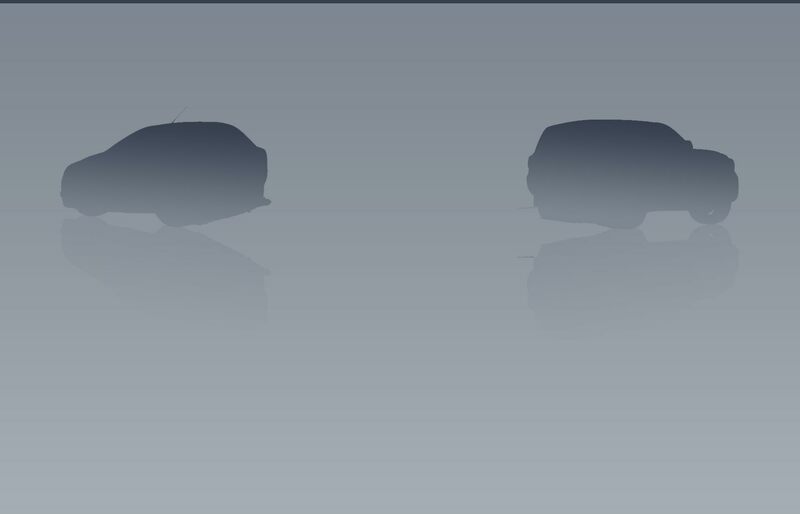 The R/T model is priced to reflect its additional content but the R/T Rallye and Crossroad models are overpriced. The 3.6L V6, standard on the Limited, R/T, Rallye and Crossroad models, is a $2000 option on the SXT trim level. All-wheel drive is standard with the R/T and Rallye trim levels, is optional on the Crossroad and is not available on the Limited. The third-row seat is standard on all models except for the SE. Below average reliability on 2009-2011 models. Unproven 3.6L V6 and six-speed automatic transmission. Rapid brake wear on earlier versions of the Journey. Flex: A new Appearance package is optional and the BlackBerry designed Sync3 infortainment interface replaces the previous Microsoft supplied units. MKT: No changes of note. The Flex and MKT are built on the same Volvo-derived platform that also underpins the Taurus and Explorer. Considering they are both quasi-suvs built on the same component set, Ford has done a good job at differentiating the Flex from the Explorer. Except for towing capacity, the Flex, with more second-row legroom, a much more elegant cabin and easier ingress-egress, is a much nicer vehicle than the Explorer. 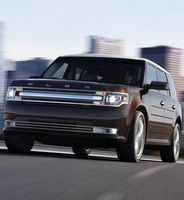 Despite their inherent goodness, neither the Flex nor the MKT has been embraced by the public, with the Ford selling about 1800 units last year and the Lincoln just cresting 200 units, not enough to justify its being on sale. .
Flex: All-wheel drive, standard on the Limited, is a $2000 option on the SEL and not offered on the SE. The cost to upgrade from the SE to the SEL is high for what your get but the Limited is reasonable value compared with the SEL. Very expensive turbo V6 option. Poor lease value for the Flex. MKT: All-wheel drive and the turbo V6 are standard on all MKTs. Fully loaded, the MKT is roughly $4000 more expensive than a similarly-equipped Flex turbo. Poor lease value for the MKT in 2016. 2016 changes limited to packaging. Like other Schreyer-era Kias, the Rondo displays an elegant form, especially for a monospace vehicle. The conservatively-elegant cabin is fronted by a dashboard housing large, crisply-marked gauges, straightforward controls and attractive two-toning. Five and seven seater versions of the new Rondo are available. The sole engine offered is a 2L directed-injected four that produces 164 horsepower. 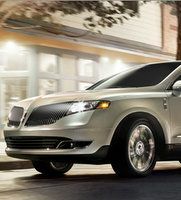 Power reaches the front wheels via either a six-speed manual or a six-speed automatic transmission. Luxury features such as xenon headlights, ventilated driver's seat, heated rear seats, heated steering wheel, Keyless Go and a panoramic sunroof, are all offered on the Rondo. 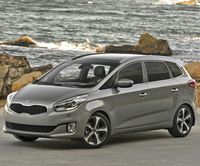 With around 3500 sales in 2015, Kia sold 2000 fewer Rondos that in 2014, but still outsold the Mazda 5 by about 2000 units. The Rondo has not been crash tested in the U.S. as it is not sold there. 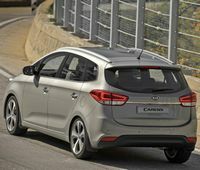 The Carens (the Rondo's name in Europe) scored five stars out of a possible five stars when tested by the Euro NCAP organization. The third-row seat is a $1300 option on the LX and EX trim levels. The LX Automatic, EX and EX Luxury are all good value, with the LX Automatic equipped to suit the needs and wants of most buyers. 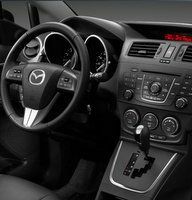 Unlike its closest competitor, the Mazda 5, the Rondo can seat three people in the second-row seat and accomodate a large amount of cargo, whereas the Mazda can only seat two in the second row. 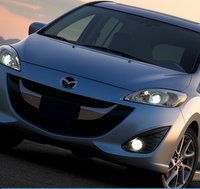 Good value leasing for 2016.The Rondo is not sold in the U.S., and while finding mechanical bits there won't be difficult as various U.S.-market Kias feature the same drivetrain, body parts are not stocked should you have the misfortune of being involved in a collision while travelling in the United States. No changes of note for what should be the last year for the current 5. All 5s are powered by a 2.5L four that can send power to the front wheels via either a six-speed manual transmission or a five-speed automatic. With around 2500 sold in 2015, Mazda 5 sales, like all the vehicles in the segment bar the Dodge Journey, are waning. The GS Convenience package, which includes includes cruise control, leather-wrapped wheel and Bluetooth, is priced to reflect its contents.The GS Moonroof package is a bargain. Nicely equipped, including leather upholstery, the GT is very good value this year. Good lease value for 2016.